The reduction of The Virgin with Angels , also known as The Song of the Angels recently sold for $1,588,000 on April 20 at Sotheby's, New York. While works by Bouguereau have gone for as high as $2,600,000 and $3,500,000 in recent years, they were all full, life-sized, major paintings. 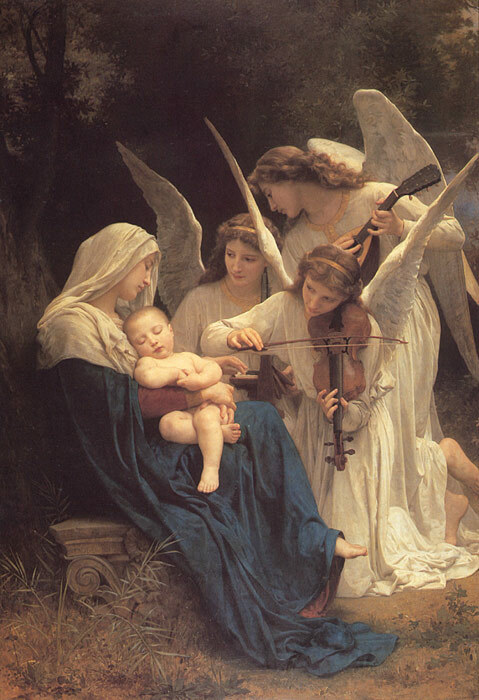 This was but a reduction of a major work, and has therefore set a world record for a Bouguereau reduction. SPECIAL NOTE : The painter will make the reproduction as close to the original oil painting as possible. If you want your painting to alter from this likeness, please email us and " La Vierge aux Anges [The Virgin with Angels], 1881 " will be reproduced according to your special requirements.